With summer very quickly winding down, I have naturally been reflecting on all we got up to over the last couple of months. I can truly say, we had a great and fulfilling summer. Exceptionally nice weather meant we spent a lot of time outside in the backyard, at the beach/pool and generally on the go. Below is a round-up of the things I found especially useful this summer and the games/toys that the kids went crazy for! These things are the ones I know will be a definite must for next year, too. My curated list of favourites from this summer is mainly based on what I found myself using most often (and what I haven't already shared in previous favourites). I have a lot of Boiron favourites, but this summer I relied heavily on two of their products. Dapis Gel for bug bites works almost immediately in relieving itch. It's a non-greasy formula that can be used on children and adults. Arnicare Cream came in very handy for a couple of injuries that Rob and I experienced - aiding in relief from pain and stiffness. We used this cooler backpack nearly every time we left the house. It's the perfect size to keep some drinks and a small picnic cold. The practicality of the backpack style made it especially easy to bring to places like the beach and parks because I could free up my hands for taking other things. 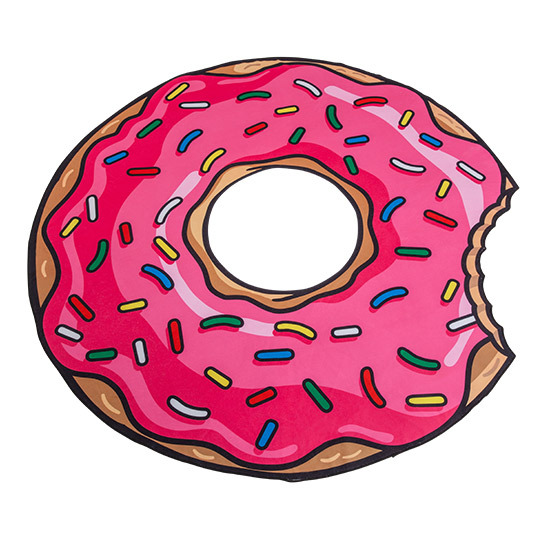 I vowed this summer I wouldn't buy sugary snacks for the kids and I managed to finish off the summer sticking to it. For convenience sake when on the go, I exclusively packed Kind Snacks. They're made with quality ingredients and unlike other granola bars they did not melt in the heat. 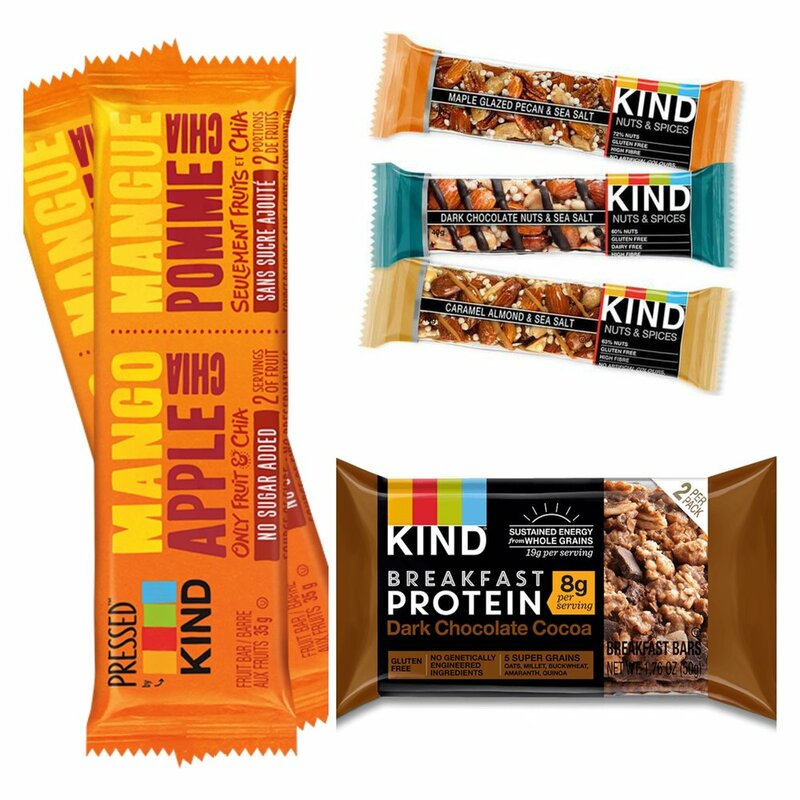 I find all varieties of Kind products are filling, but especially the breakfast bars - some with as much as 8g of protein! Apart from being the most colourful and fun part of our beach setup this year, our giant beach blanket was also the most useful. It's large enough for us all to squeeze onto and allowed us to reserve towels for just drying off at the end of the our stay (thus avoiding gross, wet sand stuck to them). The blanket also works wonders as a towel, too! As mentioned, our children have spent a lot of time outside this summer. Our backyard has been a hotspot for our own kids, but also for the neighbourhood kids, too. We don't have a single prime attraction like a swing-set or trampoline, but we do have a great selection of smaller games and toys that at least in our experience, have proven equally as popular (plus they're way less costly). For the beach this year I knew I wanted toys that would last more than just the current season, the new additions have proven to be a wise investment and have been deemed "the best ever". Scooters were a new novelty for the kids this year. Our oldest, Hudson had asked for one but the younger two hadn't voiced the same. Each child got a Pulse Scooter at the beginning of the summer and practically lived on them. I'm amazed at how quickly both boys took to riding; the learning curve seems significantly less than a bike. Scooters have also proven a lot more portable and so we often packed them up to take with us on our outings. Mairi's scooter is a Pulse Safe Start and I can't recommend it enough for her age (three). This game hasn't made an appearance in a vlog yet, but I suspect that's just a matter of time. The kids love this game and it's an easy set-up and take-down (which I appreciate). 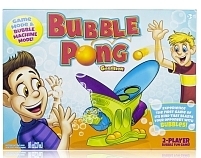 It incorporates the silliness of a bubble machine with the face-pace of a game of ping-pong! Definite fun that the kids have not grown tired of. Living within a 15 minute drive to the beach means our kids spend a good portion of their summer splashing in the ocean and digging in the sand. Each year, I find myself having to replace beach toys. They simply don't last. Looking for better quality options, I discovered, Quut. Their open-ended toys have made for hours of imaginative fun. They also look as new as the day we got them and most can also be used in the winter, too!